When you want to find a Lighthouse Point Slip and Fall Attorney that is reliable, call Robert Gluck from the Law Offices of Robert E. Gluck, P.A. He has been a lawyer since 1989 and has experience in slip and fall cases like yours. He is able to provide you with the legal representation you need in your case and make sure you receive the financial compensation you deserve for your injuries. It's important to seek medical treatment immediately after your accident. Whether it happens at a residential or commercial property, your medical records could be vital in building a strong case for you. When you hire Robert Gluck as your Lighthouse Point Slip and Fall Attorney, the first thing he will need to do is prove negligence existed on the part of someone else at the time of your accident. Negligence is the legal standard of care a reasonable person must follow in order to avoid injury to another person. If your Lighthouse Point Slip and Fall Attorney can prove negligence, he will be able to move forward with building a case for you. He will launch a thorough investigation and gather all of the necessary details he will need to make sure the at-fault party is held financially responsible. 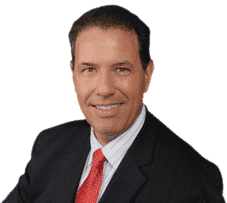 Lighthouse Point Slip and fall Attorney Robert Gluck will take photographs of the accident scene, secure video surveillance, locate and speak with witnesses, and obtain any other evidence he believes he will need in your case. He will fight hard for you and be the legal voice you need during this difficult time in your life. He will be there for you every step of the way from beginning to end.